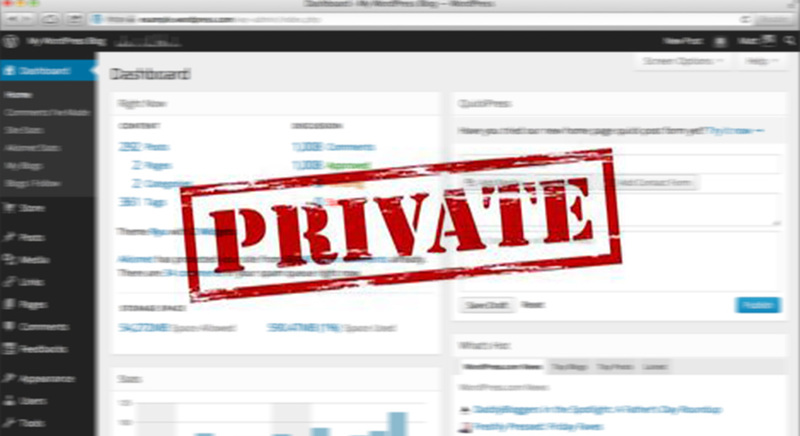 A Quick And Simple WordPress Guide On Making Your WordPress Blog Private and Hidden From Search Engines. In previous mini WordPress tutorials that I have written, I have shown you how to change the color of your text and how to move your free WordPress.com blog to self hosted WordPress.com. This time it’s all about making your blog private. Whether you use your blog for commercial reasons or simply as a way to share your travels and thoughts with friends and family, most people like the fact that their posts are public. Google and other search engines lead more visitors to your site, which increases the popularity of your articles and perhaps leads to increased ad revenue. But sometimes you want to keep your WordPress blog private. How can you do that? The answer depends on what kind of privacy you want. Sometimes you want to keep most of the content on your site freely visible to visitors, but there’s an individual post, video, podcast, or photo that you want to keep private. There are many reasons why people decide to make an individual post private. Perhaps you want to share baby photos with just a select group of family members and friends. Perhaps you want to share photos and text from a night out, but you don’t want to have your employer or school see them. Maybe you’re working on some ideas for your company that aren’t ready to share with the public just yet. Perhaps you’re a teacher and you want to share materials only with your students. Or maybe you just want to share some private thoughts that you don’t want the entire internet to discuss. If you’ve already written an article and it got published, you can’t protect it from certain archives and web scrapers. But you can prevent people from accessing it in the future. From your dashboard, select Posts and then click on All Posts. From there, you’ll see a list of all of your posts. For the one that you want to make private, click on Quick Edit. From there, look for the word Visibility and change the settings to private. You can choose to make the post only visible to you (as well as anyone else who is an administrator or editor of your blog) or pick a password. If you’re writing a brand new post and want to make it private, look in the upper right-hand corner of the screen. That’s where you’ll see publishing options where it says Visibility. Select “private” and then decide whether or not to add a password. Note: you do NOT have to add a password to make a post private. If a post is private but does not have a password, search engines will not index it and only you and any other editors/administrators of your blog will be able to see it. Posts that are private and have a password can be seen by anyone who has the password. Many people choose to make their entire blog private for a variety of reasons. Whether it’s because you’re sharing personal information about your feelings, want to share photos with a select group of family members and friends, or simply want a place to develop your thoughts in private, it’s simple and easy to make your entire blog private. Note: if your blog was previously public, it’s possible that copies or snapshots of your blog are available somewhere in various archives. But once you make your blog private, search engines like Google will no longer visit (or link to your site), and the general public will not be able to see anything on your site. It may take a few minutes for the new privacy settings to take effect. Go to your blog’s dashboard. You’ll see three options: Public, Hidden, and Private. If you select “Hidden”, search engines will no longer link to your site but anyone who has the address of your blog will be able to see everything. Select Private to make your blog private. Click on People and then Add. You’ll be given a prompt to add a person’s email or their WordPress user name. Add the information of the people you want to invite to enter your site. Each person you invite to your blog will be assigned a role. Viewer – This person can see everything on your blog and leave comments but nothing else. Administrator – This person can access, view, and change anything on your blog. Any administrator that you add can do absolutely anything, including deleting your blog, so choose new administrators carefully! Editor – This person can view your blog, comment, and edit all posts written on the blog, including your own. Author – An author will be able to view your blog, comment, and post new content using their WordPress user name as a byline. Contributor – Similar to an author, a contributor can view your blog, comment, and post new content using their WordPress user name as a byline. The main difference is that contributors cannot upload media to your site or delete comments. 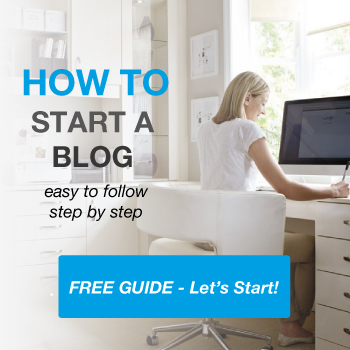 If you want to change a person’s access to your blog, follow the above steps to get to the People section. Choose the user you want to modify, and either change their status or delete them. It doesn’t matter whether you’re hosting your own version of WordPress or using a free blog hosted by WordPress, all of the above options are available to you. With a few clicks of a button, it’s possible to make either a single post private or your entire blog private. Hi Jamie, I think this is what I did with my website queenofawesomeness.com that is hosted by hostgator. But now I would like to use it again and can’t gain access it to it in any way. Even when I type in queenofawesomeness.com/wp-admin, i get an error message. How do I get back in so that I can change the privacy settings? It looks like you need to contact HostGator support to sort this out. Raise a ticket with them, or jump on Live Chat. Their support is really good, so should have you up and running in no time. have any plugin that add some extra layer on website.? for example, when people visit website they require key to view website and that key only work one or two time as per we set from back-end. Theme My Login might be what you’re looking for. Will setting a page to ‘private’ prevent google and other search engines from indexing it when they crawl? Yes. If you go to settings, select reading and the click on the tick box next to “discourage search engines” then that would also do it. Will the invited viewers on a private site have to set up a password? Thanks! Thanks Jamie for this article. Just want to make one of my blogs private and found your guide at the right time. Thank you. Why Is WordPress Free and What Are The Hidden Costs?